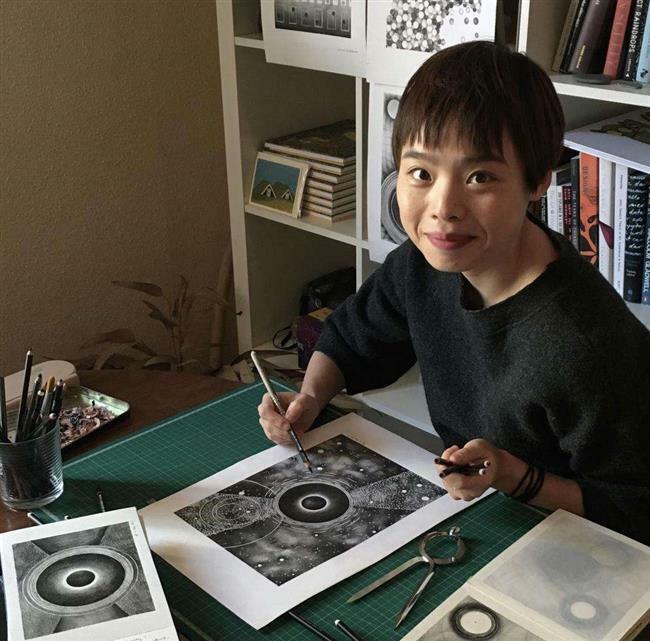 Many Chinese publishers are now investing heavily in finding and supporting local authors and illustrators, and in publishing high-quality books fit for export. 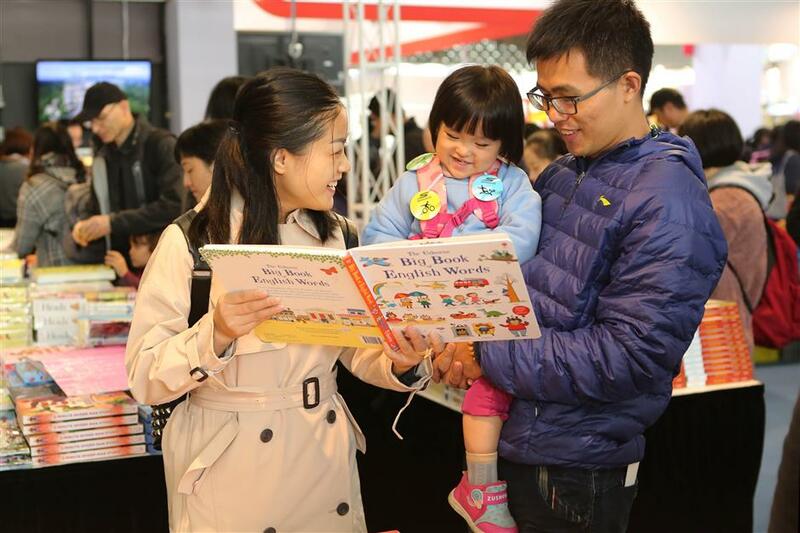 A family of three enjoys a pictorial at the Shanghai International Chilren's Book Fair. In children’s literature not long ago, China imported 19 books for every one book published here and exported. In the business of copyright procurement, the commerce was tilted in favor of Chinese publishers buying rights for overseas titles. Except for famous Chinese classics, parents here have long complained about lack of children’s books originating in China, especially in the category of illustrated books for preschoolers. Lacking that choice, they typically bought translated versions of popular global titles. Many local publishers, especially larger state-run entities, have invested heavily in finding and supporting local authors and illustrators, and in publishing high-quality books fit for export. The Chinese government has included books in its “export culture” initiative. “It’s more expensive and time-consuming to produce good-quality original books than to translate international titles,” says Yao Lei, deputy general manager of Hubei Province-based Changjiang Children’s Publishing Group, one of the most influential players in the children’s book market. Efforts by Yao and fellow publishers across China are beginning to pay off. The import-to-export ratio has dropped most recently to about 2 to 1. Yao’s company has published a series of illustrated children’s books called “Mr Ear.” The co-authors are a young illustrator, a musician and a children’s educational specialist. By scanning the QR code on the first page, children can access an online album of original music composed specially for the books. In some of the books, vivid shapes combine with music to help children learn basic music knowledge. In other books, the music creates a story atmosphere, similar to a film score. 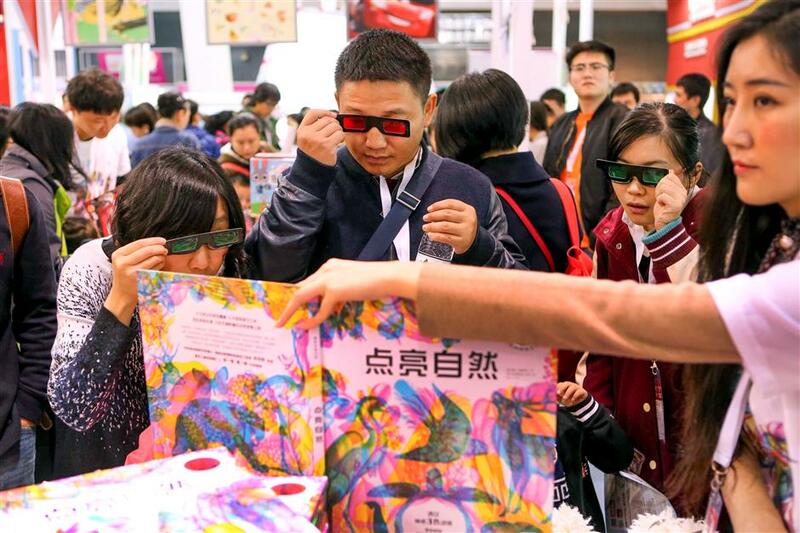 Chinese parents wear special glasses to see three-dimensional pictures in a children's book. 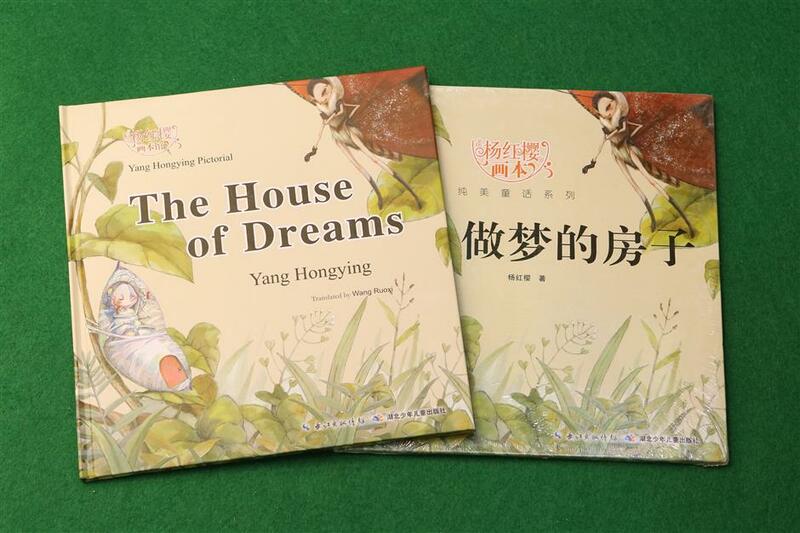 Yang Hongying's pictorial "The House of Dreams" features 20 fairy tales. Illustrated books require little translation for the export market. Pictures tell stories. 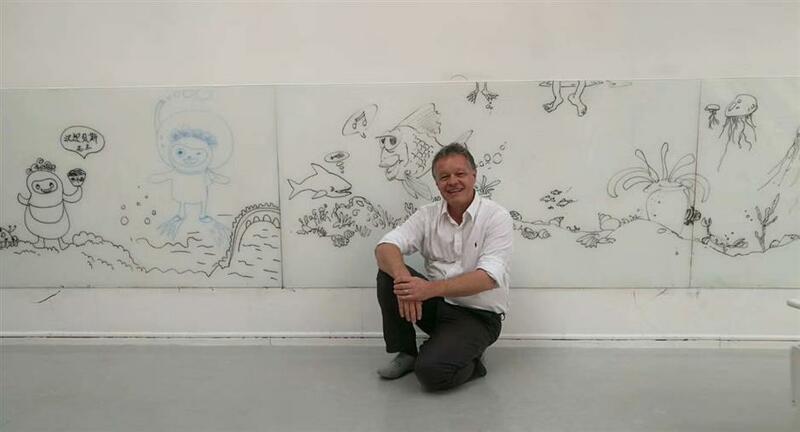 Gelso, who attended the recent children’s book fair in Shanghai, says he was intrigued by a new China illustrated book entitled “Journey Buddy,” a warm story about a father and child. In the story, the father is preoccupied with finding gold and pays little attention to his son, who carries a large backpack around and keeps asking his father the names of everything they come across. One day, the father realizes how the backpack has swelled and asks his son what’s inside. The child opens the bag and everything he learned from the father, from watches to the sun and moon, falls out. He has learned the world from his father, except for one word. “What do I call you?” the son asks. Ma Daishu's internationally popular "Leaves" has more than 500 pictures but no text. 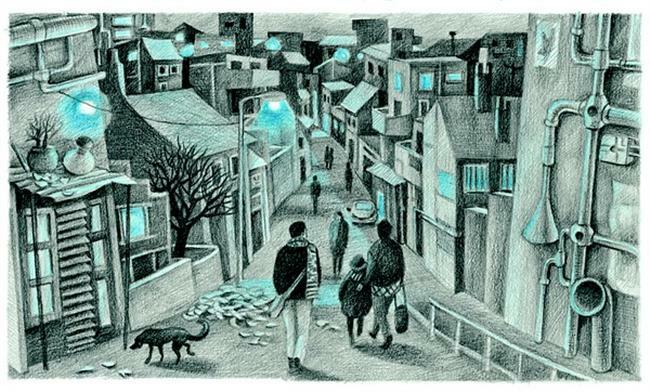 The book was illustrated by Ma Daishu, whose first work “Leaves” had more than 500 pictures but no text. Rights to the book have been sold to publishers in the United States, Canada, France, Italy and Sweden, with offers still coming in. The annual children’s book fair in Shanghai gives her a welcome platform to meet people in the publishing world and display her talent. Traditionally, most Chinese books have been exported to neighboring countries like Singapore, South Korea, Thailand and Vietnam. Now, domestic publishers are beginning to break into more challenging markets like North America, Europe and the Middle East. Earlier this year, HarperCollins signed a deal to translate a series of 36 Chinese math textbooks for use in schools in the UK. That came after global academic test scores consistently ranked China’s math education the best in the world. But that’s not necessarily the fare that will grab the attention of children overseas, who generally prefer books for entertainment and like reading for fun. 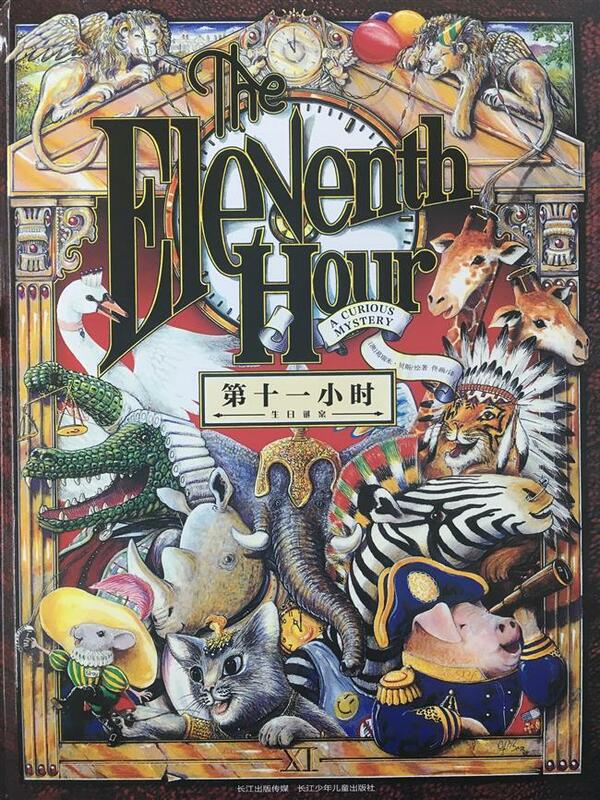 The cover of "Dragon Moon"
Base's another popular work, "The Eleventh Hour"
Base, who has shown great interest in dragons and pandas in his previous books, was inspired by his multiple trips in China. 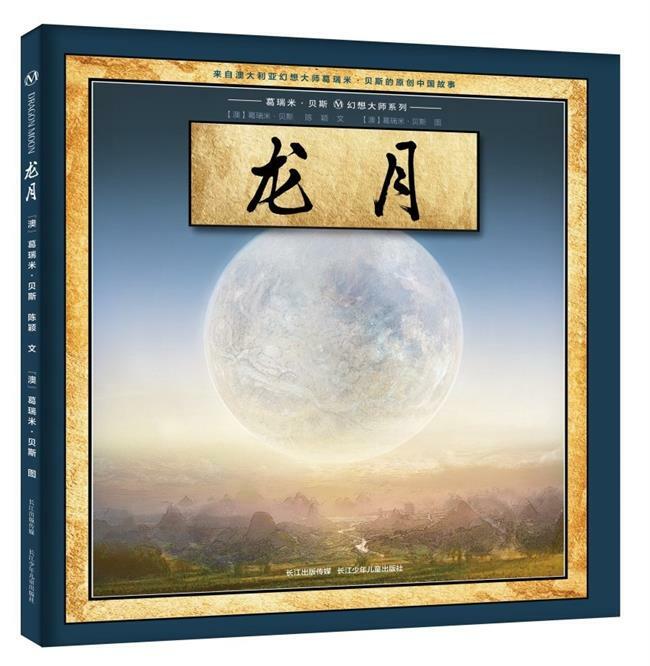 The English version of “Dragon Moon” is now underway and expected to be published some time next year. Base’s Chinese publishers hope this new approach by the best-selling author and his distinct artistic style will become a popular page-turner and a breakthrough into the competitive Western children’s book market. China is rich in folklore that lends itself to children’s books. 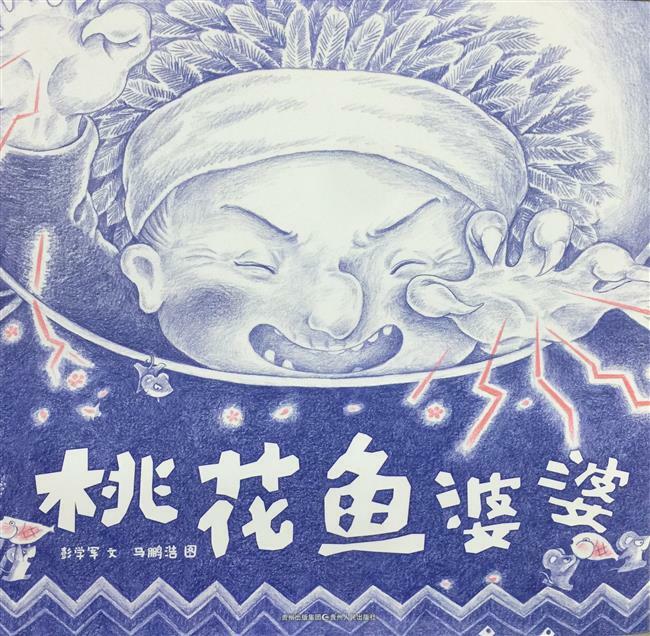 Author Peng Xuejun and young illustrator Ma Penghao have collaborated on “Granny Xiu and the Peach Blossom Fish,” a story drawn from the legends of elderly witches that filled Peng’s childhood in Hunan Province. The award-winning author in children’s literature collaborated with Ma in producing her first illustrated book. 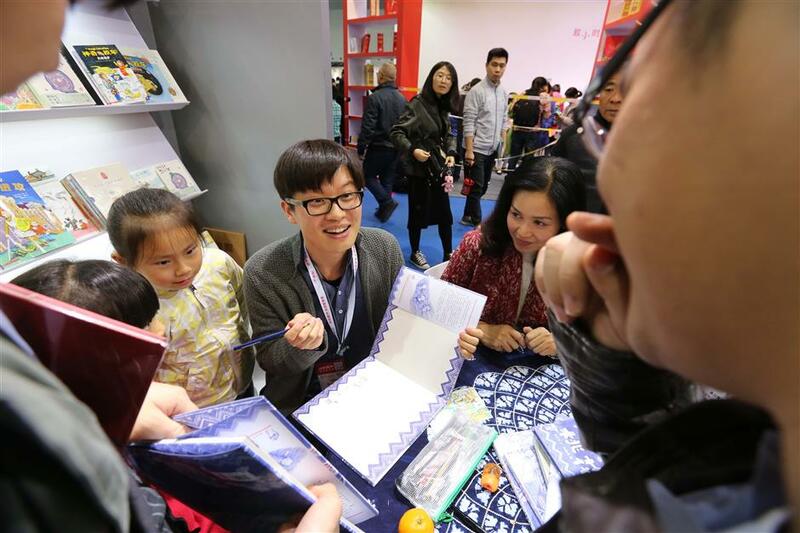 Young illustrator Ma Penghao (center) and author Peng Xuejun (lady next to Ma) talk to visitors at the Shanghai International Chilren's Book Fair. “Granny Xiu and the Peach Blossom Fish” is a story about the legends of elderly witches.